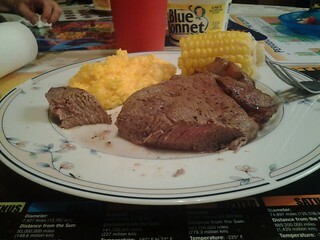 A top sirloin steak dinner with cheesy rice as a side dish and corn on the cob. Steak marinade is simple spices. Broiled steak recipe for a family dinner.